Charles Kelley scores his first double eagle. Chris Young autographs a fan’s sign in the pouring rain. Eli Young Band goes tubing with their crew in Oregon. Sara Evans shares a behind-the-scenes photo from her “Marquee Sign” music video shoot. Chris Lane gives out roses. 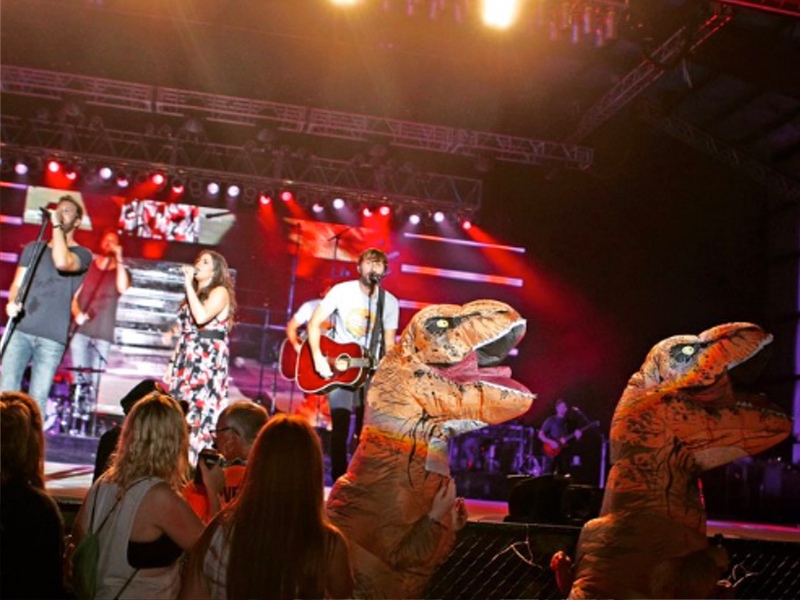 Lady Antebellum has a dinosaur encounter. Darius Rucker and Vince Gill chill backstage at the Opry. Brett Young performs on Jimmy Kimmel Live. #ICYMI: @dariusrucker and @VGcom sat down for an EPIC #GuyTalk backstage at the #Opry!